Maine’s student success indicator, chronic absenteeism is one of four (4) indicators utilized in Maine’s Model of School Supports and is used for all grades, K-12. Chronic absenteeism in Maine is defined as missing ten percent (10%) of enrolled school days where the student has been enrolled in the school for at least ten (10) days. At the state, district, school, and classroom levels Maine educators are committed to creating a culture of support and encouragement for families with children experiencing challenges with consistently attending school. In the past, Maine has focused on Average Daily Attendance (ADA). Average daily attendance records the number of students on average, who are in attendance at school on a daily basis. Although ADA data is beneficial to track, when conducting a more detailed analysis of data, ADA often masks students who are regularly or chronically absent from school. Maine has therefore determined that chronic absenteeism would be a data point collected beginning in the 2016/17 school year. What does this look like in Maine? Schools in Maine are examining their attendance data. On a daily basis, students are marked present or absent from school. In order to be present, the student must have attended 50% of their scheduled school day. One important item to note: excused absences (absences where a parent/guardian sends a note into school explaining the absence) and unexcused absences (absences where a parent/guardian provides no communication regarding the absence) both count as an absence. Why is Maine using chronic absenteeism? Research indicates a high correlation between chronic absenteeism and academic achievement however, the negative impact of being chronically absent isn’t only felt by the student who is absent, it can also impact the student who is present. Absent students lose valuable instruction time during the school day however, when students are chronically absent, teachers must reteach the same material during the school day, to students who missed out. This takes away from key instructional time and may impact overall student engagement and student achievement. In short, all learners in a school or classroom environment are impacted by chronic absenteeism. How does this impact parents, students and schools and what can they do? If your child is frequently absent from school, you may receive increased communication regarding your child’s attendance behavior and increased availability for support. You may see increased district communication regarding attendance; every day counts. You may see an increased focus and emphasis on family engagement and relationship building between the school and the family . Ensure your child is in school every day. Obviously there are days when your child is sick and should remain home; however, scheduling personal appointments outside of the school day and taking vacations during school vacation breaks are two strategies that parents can immediately address to promote and encourage daily attendance. Communicate with the school should your child or the family experience issues that may impact their attendance or where you may require support. 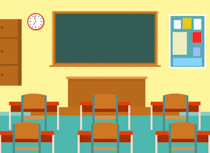 Individual students will not be identified publicly as being chronically absent. There may be an Increased emphasis on relationship building between students and school staff. Be engaged – develop relationships/friendships with peers and school staff. Share with parents and school staff when you are experiencing challenges or issues at school. Communicate. Student data will be collected and combined to determine the percentage of students who are absent for more than 10% of enrolled school days. This data will be utilized as an indicator within Maine’s Model of School Supports and will assist the Maine DOE in providing supports to schools experiencing challenges in the area of chronic absenteeism. Availability of professional development and learning opportunities to provide best practice strategies in assisting schools address challenges related to chronic absenteeism. Continue to build engagement and relationships with families and students with frequent, sustained two-way communication. The school leadership team should examine data on a regular basis at the school, classroom, and individual student level and make a determination on how the school will inform parents of current absence rates. Seek supports and professional learning from the Maine DOE and other agencies and organizations.